Marking the 88th founding anniversary of the Communist Party of Vietnam (February 3, 1930- 2018) and the 50th anniversary of the General Offensive and Uprising in the spring of 1968, Politburo member, State President of Vietnam Tran Dai Quang yesterday visited and thurified at Ben Duoc Memorial Temple in Cu Chi district, Ho Chi Minh City. The delegation led by President Tran Dai Quang included leaders of Party, State, Party Committee, People’s Council, People’s Committee, Vietnam Fatherland Front Committee of Ho Chi Minh City. In the solemn atmosphere, the leaders laid wreaths and offered incenses to express their deep gratitude to President Ho Chi Minh, Vietnamese heroic mothers, heroes of the People's Armed Forces and 45, 639 martyrs who laid down for the country’s revolution. 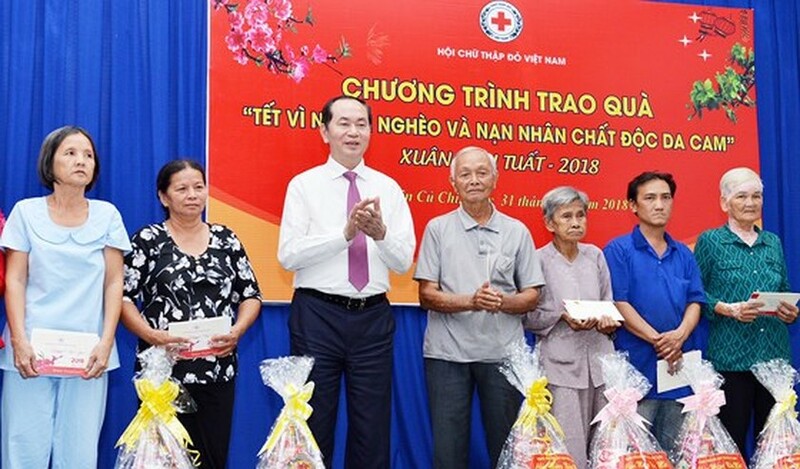 On the occasion, the Vietnamese President presented money and gifts to 100 poor and policy households and Agent Orange victims in Trung Lap Thuong commune and Cu Chi town. 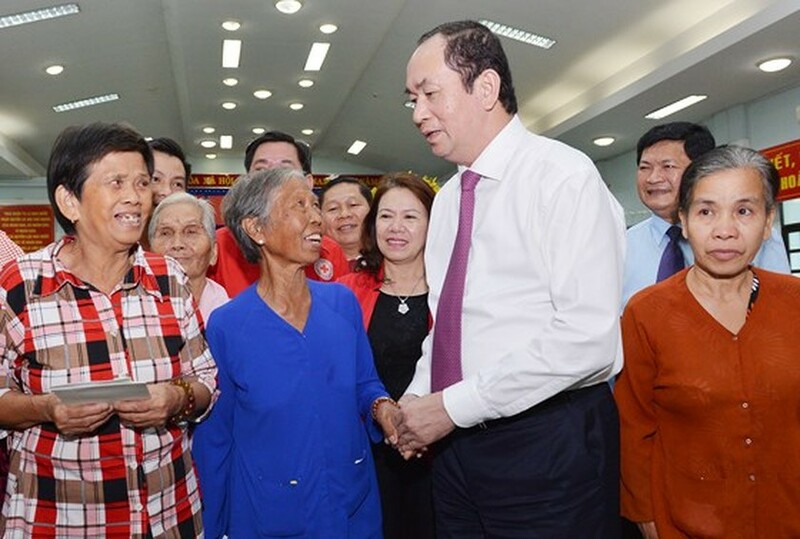 According to Chairman of the People’s Committee of Cu Chi district Nguyen Huu Hoai Phu, the locality has nearly 20,540 policy beneficiary families; Over 8,000 beneficiaries are entitled to monthly benefits including over 2,070 Vietnamese heroic mothers, 2,516 people with great contributions for the country’s revolution, more than 340 victims of Agent Orange and nearly 2, 000 beneficiaries are entitled to martyrs and invalids with an average monthly subsidy of VND 10.4 billion. 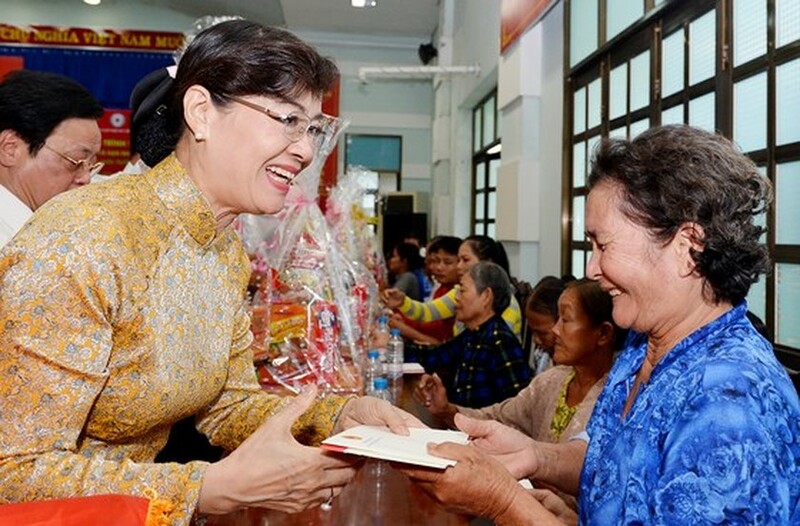 On the coming Lunar New Year 2018, Cu Chi district has raised fund for the poor totaling VND 46 billion. 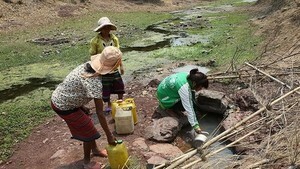 President Tran Dai Quang sent health wishes to policy beneficiary, poor households and Dioxin victims. The leader expressed his pleasure before active development of Cu Chi district, and appreciated highly efforts of the local authorities and people.